"Living That's Far From Ordinary, Near Everywhere You Want To Be." Luxurious, Maintenance Free Living on the west bank of the beautiful and historic Clark Fork River. A riverfront trail follows the 1/4 mile of river frontage that connects to the greater Missoula trail system. Live directly across from the Canyon River Golf Course and just minutes from the University of Montana and downtown Missoula. Duplex-Style Townhomes have been designed in the prairie-style popularized by the revolutionary American architect Frank Lloyd Wright. These homes offer open, free-flowing and functional interiors; strong horizontal lines; low profile hip roofs; deep, sheltering eaves; low-maintenance stucco exteriors in warm natural colors; low terrace walls; broad bands of windows inviting the outside in; all reaching out to nature and connecting the home to the beautiful surrounding landscape. All the outdoor spaces have been carefully designed to provide privacy from your neighbors and to let you take full advantage of the beautiful views and riverfront setting. Extra care has been given to soundproofing the units to assure total privacy for the homeowners. Quality in design and craftsmanship in construction are the bywords of Water's Edge. Unit's 1-14 are SOLD. New floor plans help capture river views from every room. Daylight walkout basement with 3rd bedroom and 3rd bathroom. High-end finishes throughout with options to upgrade. Click below to view our list of amenities that are provided with the base price without upgrades. Water's Edge Home Owner's Association is managed by Adea Property Management. Click below for list of what is covered and contact information. See what everyone has been saying about Water's Edge Townhomes. Hoyt Homes Inc has been operating since 1992. 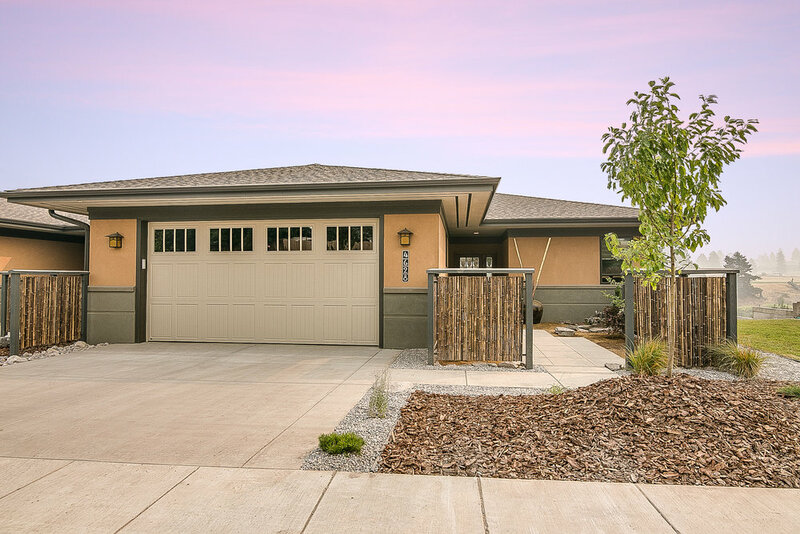 Quality homes by Missoula's Premier Builder. Located on the banks of the beautiful Clark Fork River. Gorgeous river and mountain views with every season.